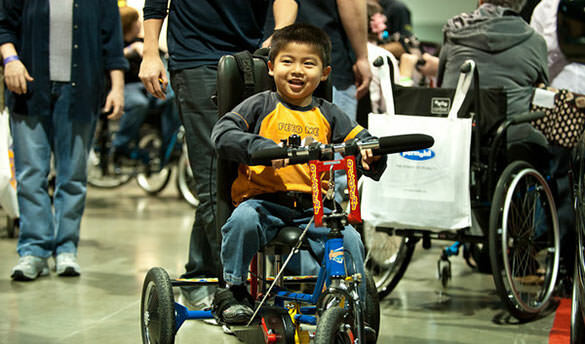 If you are a parent to a special needs child and you're all revved up to attend an upcoming Abilities Expo near you, then you're probably ready to discover how findings of the latest research can make a big change in your child's quality of life. 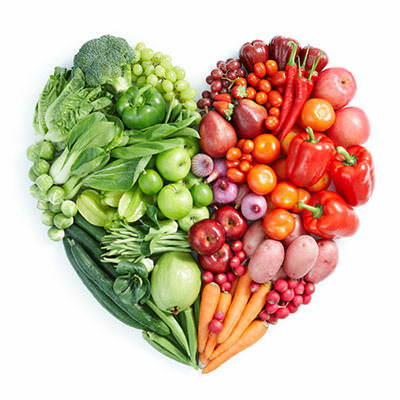 One area in which you are perhaps hoping to find the solutions you've been seeking, is that of nutrition. Many special needs kids have a nutritionist who sets specific guidelines for the challenges they are facing; for others, focusing on nutritional goals is a whole-family effort. Here we highlight some of the common nutritional risks special needs children may face and provide suggestions, where appropriate, on how to overcome these challenges. We must bear in mind that nutritional challenges are as varied as each individual child and our aim is merely to provide a general guideline for parents and caretakers. Obesity: Children with limited mobility or those who have conditions like Down Syndrome can have low muscle tone or bone issues, thereby making it harder keep their weight down. It is vital to establish good eating habits from the start, limiting your children's experiences with sugary, salty and processed foods so that they can develop a taste for fresh, seasonal foods. It is likewise vital to inquire about any children's nutritional programs in your area which focus on the importance of healthy eating. If your child understands how sugar, fat and cholesterol affect their bodies, they are much more likely to embrace a healthy lifestyle than if they are simply told what they should and shouldn't be eating. Parents can help make shopping a fun experience for kids, encouraging them to read food labels and to choose healthy snacks (e.g. kids can be taught to shop for healthy snacks that have less than two grams of saturated fat or more than three grams of fiber per serving). Children should also be encouraged to find an activity they love and feel confident doing; there are a host of fun, engaging adaptive sports they can sign up for, which will ensure they have a good time while performing a classic cardiovascular workout. The 'winner-loser' mentality should be thrown out the window, as long as kids are having fun in a safe environment. Being Underweight: Children with special needs can be underweight because of various problems, including difficulties with swallowing. Some kids can have a particularly speedy metabolism, caused by conditions such as cerebral palsy, where muscular spasms burn up a significant number of calories. Swallowing problems (dysphagia) are an issue which needs to be diagnosed by a therapist. In mild cases, the therapist can work alongside your child to improve the swallowing mechanism; in serious cases, a feeding tube may be necessary. The first step for most parents whose kids don't have a hearty appetite is usually experimentation; trying out an assortment of foods that are most likely to stimulate the palate and provide adequate nutrition. If your efforts are proving unfruitful, vitamin supplements can be an ideal way to ensure a child's daily requirements are met. It is also important to look beneath the surface and analyze whether a child's lack of appetite can be caused by an underlying issue such as depression. This condition is characterized by a lack of interest in activities and hobbies a child used to enjoy, a lack of energy and an avoidance of social occasions and interaction. If depression is suspected, it is vital to obtain help from a psychologist or psychiatrist, who can suggest successful therapies such as cognitive behavioral therapy, medication or a mixture of both approaches. Having a Complex Relationship with Food: Often, a child with special needs may face specific barriers to having a healthy relationship with food. For instance, a child with autism spectrum disorder may have an intensely negative reaction to particular textures, tastes or colors. Children with Down syndrome, meanwhile, may prefer softer foods because of difficulties encountered when chewing or swallowing. If a child refuses to eat items outside a select list of foods, the importance of a good supplement may again come into play. Many parents report that simply getting their child to eat at all is a big achievement and this should remind us that nutrition should be approached on a step-by-step basis, and that every 'small victory' should be celebrated to the full. Side-effects of Medication: Some 75% of kids with special needs take medication; some of the latter, especially anti-depressants, anticonvulsants, mood stabilizers, etc., are linked to weight gain. It might therefore be worthwhile for parents to speak to their child's physician, to discover if there are alternative medications with lesser side-effects. Overcoming the biggest nutritional challenges of special needs children is a complex issue that is sometimes within and sometimes beyond a parent's grasp. Yet to the extent we can, it is vital to ensure that our children enjoy the colorful, flavorful, rich-textured world of healthy food, and to get their hearts racing to the inviting rhythm of sport and life.